Heinrich Boell Stiftung is a political foundation affiliated with the German Green Party. Ukrainian author Jurij Andruchowytsch, jointly with numerous intellectuals, calls for solidarity with Ukraine in an open letter to the German government. 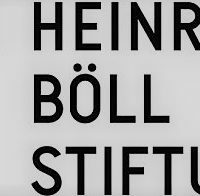 After considerable research and deliberation, the German political foundation Heinrich Boell Stiftung published its report “Strength and Solidarity” which puts forward a series of proposals in areas such as foreign and security; agricultural; energy; economics and monetary and enlargement policy. The report aims to facilitate discussion within the European Green movement. This is an extract of the report.